The German company, VPN in Touch has only recently been formed. Back in 2011 to be exact however, just because they haven�t been around for a decade doesn�t mean to say the people behind the company doesn�t have any experience with VPN. They probably do and they do offer a great VPN service. First of all, they don�t offer a money back guarantee but the cost for one month�s use is rather small so there probably is no need to. You are just paying out five dollars and change which is still money but for one month�s use of VPN, is pretty good. This is what you have to think about before you jump out there and decide that a no money back guarantee isn�t good enough. 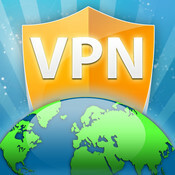 VPN in Touch offers American VPN and the protocol options are nice also. You can choose between three � IPSec, L2PT and PPTP. All of these are nice but you don�t have Open VPN and SSTP or even SSL which isn�t bad because all three of the options being offered are great. You will also have to be content with a Shared Dynamic IP. VPN in Touch can run with most computers, however, they will need to have certain operating systems. They will need to have Linux, Mac OS X or Windows. To be more precise, Windows, Windows Vista and Windows 7. When it comes to what supported devices can use VPN in Touch, you have a fair few. You have at least eight devices which VPN in Touch supports. These are the Xbox 360, Router, Apple TV, Windows Mobile, Android, Apple�s iPad, iPod and iPhone. Overall however, VPN in Touch does seem to be offering a few nice choices if you like what is being offered to you and the price is affordable.